Given the very real health concerns linked to obesity, it is unfortunate that aspartame, which can help decrease sugar intake, should be the subject of decades of misinformation. A similar issue has emerged around another less harmful alternative to a product far deadlier than soda: vapour products that replace lethal cigarettes. Earlier this summer, Pepsi reintroduced a version of their signature cola sweetened with aspartame. The artificial sweetener had been removed less than a year earlier in response to consumers' (unfounded) worries about safety. But removing aspartame did not reverse the slump in diet cola sales as Pepsi had hoped. Instead, sales continue to reflect a general decline in soda consumption. From a public health perspective, this overall decrease is positive, given that sugary soda -- fizzy flavoured water without counterbalancing nutritional benefits -- is a major contributor to rising obesity. But the public panic around aspartame highlights a worrying trend. Fears are too often misdirected toward new innovations rather than the known harms they might reduce. Although use of products like e-cigarettes has rapidly increased, many people still believe -- as with aspartame -- that the alternative product is as harmful, or more harmful, than what it replaces. This tendency to highlight unfounded concerns about safer emerging alternatives to unhealthy products is the unfortunate flipside of the increasing parallels being drawn between the activities of "Big Tobacco" and "Big Food." Both industries create products with negative health effects used by great numbers of people. Both industries have employed similar marketing strategies, from targeting youths to expanding into untapped foreign markets. Increasing insights into the addictive qualities of sugar and other ingredients, and how companies design their products to exploit such properties, underscore these parallels. We know in the case of soda and cigarettes that decreased consumption will save lives. If anything, the history of aspartame shows an abundance of scientific caution. And where going cold turkey is an unlikely outcome for many, products that mitigate harms can have positive effects even when people do not give up the activity entirely -- getting nicotine without smoke or satisfying a sweet tooth without sugar, for example. This is realistic harm reduction, not unrealistic harm elimination. It is perfectly sensible to have a healthy skepticism about new products and technologies, particularly their long-term effects. Where real risks exist, it is important to identify them. For instance, given that one byproduct of the breakdown of aspartame is phenylalanine, it is vital that people with the serious metabolic disorder phenylketonuria (PKU) are aware of its presence, and have access to alternatives. However, it makes little sense to focus on theoretical, minuscule or entirely bogus harms without reference to the serious, well-defined harms of existing products these new innovations might help address. The fact that we do not yet completely and unequivocally know the potential effects of a 20-year vaping habit should be outweighed by the fact we are all too familiar with the effects of a 20-year smoking habit. In this case, the devil we know, the one well documented in solid science as a massive public health concern, should be the priority. If anything, the history of aspartame shows an abundance of scientific caution. After safety concerns were raised, its initial approval was withdrawn pending further testing. As a result of this controversy, it has remained under close scientific scrutiny since it was reapproved; the U.S. Food and Drug Administration (FDA) notes that aspartame is one of the most exhaustively studied substances in the human food supply. Similarly, an extensive review by the European Food Safety Authority in response to public concerns confirmed that aspartame consumption at current levels is safe. Nonetheless, public (mis)information continues to dissuade use and threaten access, even though it would take consumption of 19 cans of diet soda per day to exceed the FDA's recommended maximum consumption for adults. Similarly, vapour products are a new and promising technology for reducing the harms of a product the World Health Organization predicts will kill up to a billion people this century. Vaping electronic cigarettes is irrefutably a safer activity than smoking regular cigarettes. 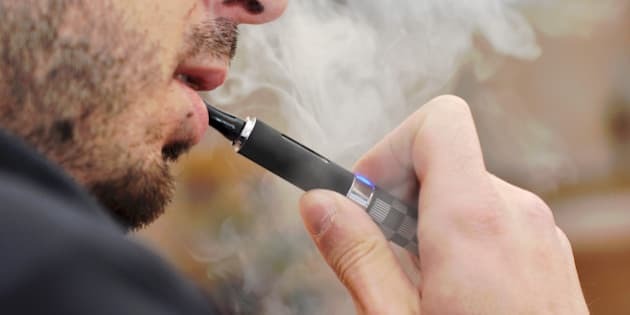 The UK's prestigious Royal College of Physicians have concluded that vaping is likely to be at least 95 per cent less harmful than smoking; that precise figure might be debatable, but the broader conclusion realistically cannot. Yet rumours and alarmist quasi-science of the kind that have long plagued aspartame now fuel regulations not grounded in evidence or good public health practice, and threaten both consumer acceptance of, and access to, products less harmful than those they may be using now. More needs to be done to ensure that consumer knowledge -- and regulatory priorities -- better reflect the evidence.